Founded in 1923, the Sacramento Kings compete in the National Basketball Association (NBA) as a part of the Western Conference Pacific Division and plays its home games at the Golden 1 Center. Over the years, the name of the team has undergone several changes. It started out as the Rochester Seagrams and adopted the name Sacramento Kings in 1985 after seven name changes. In the time since their formation, the Sacramento Kings have won one championship in 1951, one conference title in 1951 and three division titles in 1979, 2002 and 2003. The Sacramento Kings played their first game at the Golden 1 Center in the 2016-17 season, under new head coach Dave Joerger. They finished this most recent season with a record of 27-55, placing 4th in Pacific Division and 12th in the Western Conference. Even though they did not qualify for the playoffs, the Kings are locked and loaded and have their sights high for this upcoming season. With a loaded young roster, Sacramento looks to make their presence known in the Western Conference and bring home an NBA championship. Division rivals, the Los Angeles Lakers and the Golden State Warriors will fight to keep the Kings quiet. Grab your Sacramento Kings tickets and head to the Sleep Train Arena to be apart of your team's home court advantage. The Sacramento Kings have played quite a few good (and bad) games over the years, a few of which are listed below. Tyreke Evans’ Half-Court Shot: Even though this shot did not occur in the playoffs, but it was a game-winner that few Kings’ fans would forget. Taking place on the 29th of December, 2010 at the ARCO Arena against the Memphis Grizzlies, this was one final shot that brought all the Kings’ fans to their feet. With only 1.5 seconds remaining on the clock, Evans threw in a nearly 60-foot shot to give the Kings a 100-98 win. Comeback Against the Chicago Bulls: At the halftime, the Kings were trailing the Bulls 43-67. Chicago further extended their lead to 35, going to a score of 79-44 with 8:50 remaining in the third quarter. Even with such decisive victory in plain sight, Sacramento still managed to make its way back into the game. Within 20 minutes, the Kings had outscored the Bulls 58-19, finishing the game at 102-98. It was again Tyreke Evans who led the charge. He scored 18 of his 23 points in the last 21 minutes of the game, making it one of the largest comebacks in the NBA history. Taking place on the 21st of December, 2009 at the United Center, this game became special to Kings’ fans despite being a regular season game. The Lakers vs. Kings Rivalry: Even though the Kings have had minor skirmishes with multiple teams over the years, their biggest and the most prominent rivalry has always been against the Los Angeles Lakers. These two teams have had a pretty heated relationship since the early 2000s. It was during this time that both sides had some amazing players – Shaquille O’Neal, Rick Fox and Kobe Bryant of the Lakers against Chris Webber, Vlade Divac and Jason Williams of the Kings. The rivalry climaxed in the 2002 Western Conference Finals. The two teams have played against each other a total of 423 times, with the Los Angeles leading, 270-153. With a team this old, there are bound to be a whole lot of legendary players who have donned the Kings’ jersey. Spud Webb was without doubt one of the best players to play for the Sacramento Kings. He had the best vertical jumps that the team had ever seen and was a true marvel on court. He played for the team from 1991 till 1995. Chris Webber was without doubt one of the top players of his time, across the NBA. He had multiple accomplishments, including being the 4th All-Time in Minutes Played (14,627), 2nd All-time in Field Goals Made (3,691) and 5th All-Time in Free Throws made (1,406), among other records. Mike Bibby is another big name for the Kings. He played for the team between 2001 and 2008 and was a very talented spot shooter and clutch master. Mike was also a great handler, who was always ready to hoist up a shot. LaSalle Thompson was a top notch player on the Kings’ roster. Referred to as “The Tank”, LaSalle was a true powerhouse. He was a fan favorite and was a significant member of the team in the 1980s era. As the new season is about to be kickstarted, Kings fans can already feel the excitement in the air. They are all geared up. If you are a supporter of the Sacramento Kings, you ought to get your hands on these Sacramento Kings tickets 2018 at the earliest. Regular season games are kicking off in October, 2018, with many tough match ups ahead of them. Playing their last few seasons in the Golden 1 Center (Formerly Sleep Train Arena) before making the move to the Golden 1 Center, Kings fans should be back en masse now that they know the team is in Sacramento to stay. This upcoming season, Kings fans should be as loud as ever. With a competitive roster and the fans desire to show the rest of the league that they love their team, Sacramento games should be a great night out! Our process for purchasing cheap Sacramento Kings tickets is simple and fast. There are so many online ticketing sites, that it can be hard for customers to find the right place to buy Sacramento Kings tickets at the cheapest price. At ScoreBig we think of our customers first and foremost. We offer daily deals for Sacramento Kings events, so our customers can get the best seats for the best prices. ScoreBig will always go above and beyond to offer the cheapest Sacramento Kings tickets on the market. The Sacramento Kings schedule above, displays all available events for 2019 and 2020. Once you find the event that you would like to go to, click the red “Get Tickets” button. It is located on the right-hand side of the event listing, it will take you to an Sacramento Kings event ticket page. ScoreBig's event ticket page will display all available Sacramento Kings tickets for that event. 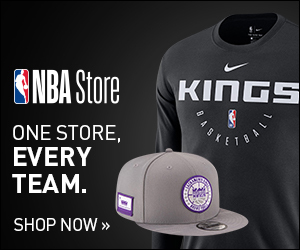 On the event ticket page to help with your search for the right Sacramento Kings tickets, use the filters at the top to select quantity, price range, and more. There is also an interactive seating chart so you can pick where you want to sit. When you are ready to buy a ticket, click on the listing, and you will be directed to ScoreBig's checkout page. Upon completion of the information fields, your order will be processed and your Sacramento Kings tickets will be delivered via email, mail, or to your mobile device. What makes ScoreBig’s site stand out from the rest? We are constantly analyzing our competitors to improve our site, service, and prices. ScoreBig.com employees strive to offer the best process and experience to buy cheap Sacramento Kings tickets. Our goal is to get you the best seats to Sacramento Kings events. We offer daily discounts on our site and for special promotions check out our newsletter. If there are no Sacramento Kings events currently available, you can use our search feature at the top of the page to see a list of all popular events going on near you. No matter your price point, we have all the best deals and discounts on Sacramento Kings tickets. For more information on prices of Sacramento Kings tickets and the schedule for Sacramento Kings, check out our listings above. The last thing you want to find out is when the Sacramento Kings event you wanted to go to is sold-out. Don’t worry in many cases ScoreBig has affordable tickets to sold out events. We sell tickets from GA all the way to premium seating and parking. Skip the scalpers in the parking lot and get your tickets online from top Sacramento Kings ticket brokers. We get you in all events, buy your Sacramento Kings tickets here from a brand that many trust and rely on for all their ticketing needs. ScoreBig offers a 100% money-back guarantee. If you have been in search of cheap tickets for Sacramento Kings, ScoreBig by far is the best option. That’s why ScoreBig has more loyal customers than any other ticketing site. Shop at ScoreBig for safe and secure Sacramento Kings event tickets.